It is question I get asked all the time, "hey Rob, whats the best floor standing speaker under 500", and its not a question that pisses me off. Of course not, I spend a lot of time around speakers, its one my passions in life. Therefore I tend to know a lot more than most people about the subject, so I think asking me the question is a good idea instead of just mindlessly going onto Amazon and clicking on the first one that pops up. Or worse letting a sales man sell you the one he is getting the most commission on. So here we are, you're here to get more information to help you make the best decision in purchasing a speaker and I'm presuming that $500 is your budget. Well lets take a look. 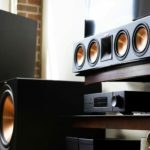 Floor standing speakers can really enhance the experience of your home, weather you're listening to music or watching your favorite shows really good floor standing speakers can bring your experience to the next level. It can literally change the atmosphere from average barely holding attention to electric! If you love viewing movies/tv shows then it is important to have one of the best floor standing speakers on the market today. If you're not mega passionate about music, or watching movies and you're not a surround sound fanatic like me then I would be reluctant to spend too much money on a floor standing speker. However that is not the only price factor to consider, obviously there are personal spending limits(or maybe none) which will influence you too. 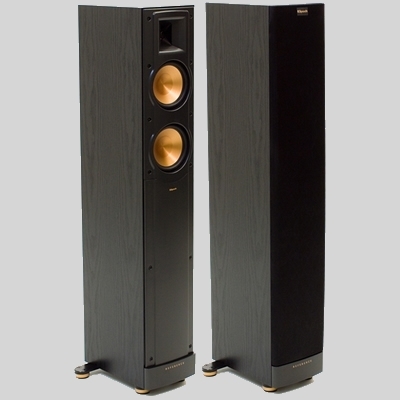 Also even if you're not a music fanatic you should still consider buying one of the more high end floorstanding speaker because generally they are of higher quality and last longer which equals better value for money on the long run. The way a speaker fits into your living space is important, you want your speaker to compliment the room not stick out like a sore thumb. For that reason the appearance of your potential buy is a factor worth consideration. In my experience any product that doesnt fit into the interior design of a room usually doesnt last long no matter how useful it is. When making space, removing clutter or giving the room a make over these stand out items are the first to go. So by picking a speaker that will be aesthetically pleasing usually results in a longer life span which means more bang for your buck. So in short, if you like the way it looks = getting more value for money! So over the last few years every manufacturer have done lots of research and testing on cabinet construction. Some companies claim to have decades worth of research to base their opinions on. Either way the cabinets get better and better. If you're wondering why the construction of the cabinet is important, I can tell you it is because all the best floor standing speakers have significantly reduced or in some cases totally eradicated resonances in recent years. This is done by lots of different forms and designs of internal bracing, they are still experimenting with different amounts/designs of internal bracing and you will see more more arrangements and architecture in this section in coming years. Another construction detail most manufactures are experimenting with is the actual material the cabinet is made from. The company that I am most impressed with is Wharfedale who have developed a cabinet made from a combination of particleboard and MDF which has made a great cabinet with almost no resonances even at mega high frequencies, check out my review of the Wharfedale Diamond 24 here. 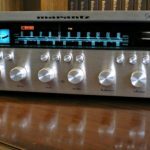 Depending on your favorite genre of music, different speaker models will suit you better, for example if you are going to purchase a great set of speakers because you love listening to opera music then it is especially important for you to look for speakers with a high quality high-range. 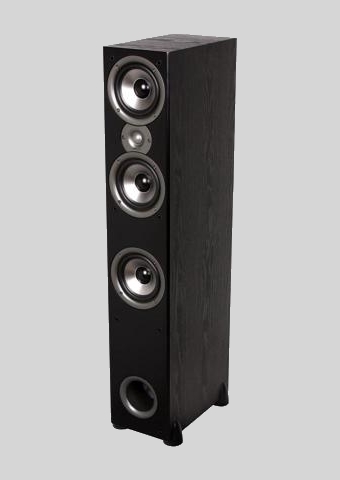 Your primary focus when checking out speakers is your primary concern. However if you're like me and you have no particular favorite genre of music or movie then you should look for the best all round speaker. All the speakers I have reviewed are good all round speakers with some of them having stronger points than others. Check them all out up the top of this page. So each speaker has two or three "drivers", these are the tweeter, woofer and sub-woofer. Different drivers will handle different sounds depending on what frequencies they are. Generally the tweeter handles the high frequencies and the woofers handle the low-range frequencies. The job of the crossover is to determine when each sound is sent to each driver. The crossover point is a huge factor in determining the quality of the speaker. The Kilpsch i reviewed has a particularly low crossover point, it is an individual preference weather you like a low, medium or high crossover point. I like the low crossover point in that particular speaker because the tweeter is a high quality one. There are always a lot of factors to examine before you decide you like a low or high crossover point. It is not always straight forward. It depends on the quality of the drivers. ​This refers to the quality of the tweeter, woofer and sub woofer. Not all speakers contain all three, some of them just have the a tweeter and woofer. As explained above the ideal crossover point depends on the quality of each driver. 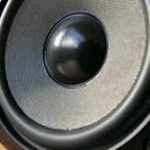 In my experience the less expensive range tends to have one driver way better than the others, this causes a "strong point" for that particular speaker. Depending on the strong point of a speaker, or your perceived strong point that will decide on your ideal crossover point. For example in the Kilpsh review I did I particularly liked the tweeter so therefore I would like a low crossover point, luckily for me this Kilpsh has a particularly low crossover point which makes it ideal for me. If the woofer was of a particularly high quality then I would want a high crossover point. This is more a concern in the less expensive speakers because the higher end speakers usually have a good all round quality. So as you can see the quality of each particular driver is of concern to you when deciding which speaker you're going to buy. This factor really depends on your living room and what type of property you live in. Questions you should ask yourself are, do i have space for this? will these particular speakers look ridiculous? will eventually have to remove them to make space for inevitable future products? will the people I live with accept these? Despite plenty of women saying size doesn't matter. I assure you when it comes to floor standing speakers it does matter. Ok so I'm guessing you understand that you're not going to able to buy state of the art, high end speakers with your price range, there for I think what you're looking for is somewhat different compared to if you had a higher budget. Here are the things I would look for. Very often when your budget is below $500 you can end up with a speaker that has one really good drive, which is great when you want to use that driver but leaves a sour taste in your mouth when you use the other one. Examples of this would be a speaker with a great tweeter but a low quality woofer and this could end up requiring you to purchase a sub woofer. This means your budget is stretched further than you originally thought. Another downfall with having one strong driver is that in my experience people get frustrated very quickly and end up disconnecting it and not using it at all. This is the first step down the path of throwing it out. Which means wasted money, time, space and a sour buying experience. So lesson number one, look for all round quality. So obviously the aim of a speaker is to play the sound that is recorded, however since speakers have been developed the lower quality speakers have always added unwanted sounds to the recording, this is often referred to as a colored sound. A decade ago to get your hands on a speaker that gave a purely uncolored sound was near impossible and if it was impossible you would need to re- mortgage your house for it. But in today's world it is very possible to get speakers to deliver an uncolored version of the recording. Although you usually have to pay more than $500 for this privilege I have un rooted some gems in this department for you. 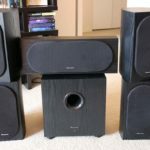 I made a special effort to provide you with reviews of speakers that do score well in that category. 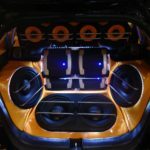 It is something important to look for in reviews when your shopping in this price range, but dont worry, if you follow my reviews you will get great speakers that provide a great uncolored sound. So if the speaker you settle on does happen to have one driver better than the other(even though i have stated this is bad above, if you're into a certain genre then one driver may be way more important to you than the other and that is fine), then its important to take note of the crossover point. This is because the crossover point determines when a driver deals with a certain frequency. 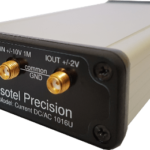 So if you have a great tweeter then you want that to handle more of your sounds, there for you want a low crossover point. Especially when your favourite genre of music is based around high frequencies, opera being an example. Hope that makes sense, feel free to contact me if you have any questions regarding this topic. 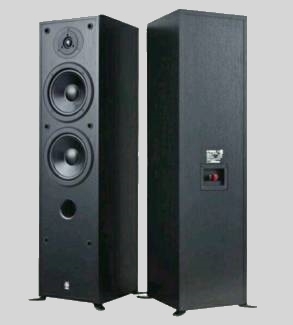 All the best floor standing speakers for under $500 have good cabinet construction, obviously if you're willing to pay more than the construction technology gets better but there are still some great cabinets for under $500. The two main aims of a well constructed cabinet is to reduce resonances and to look good, the two main construction factors that determine this are internal bracing and materials used. The speakers I have reviewed all have great internal bracing and I believe the materials used vary a little bit. I really believe this is one of the big differences when you start to move up in price. Never the less it is an important factor, so in short you should aim for good internal bracing and good materials. This is will usually lead to reduced resonances and use your own opinion about whether it looks good or not. I personally enjoy a glossy finish. On a side note, check out this video on speaker placement.